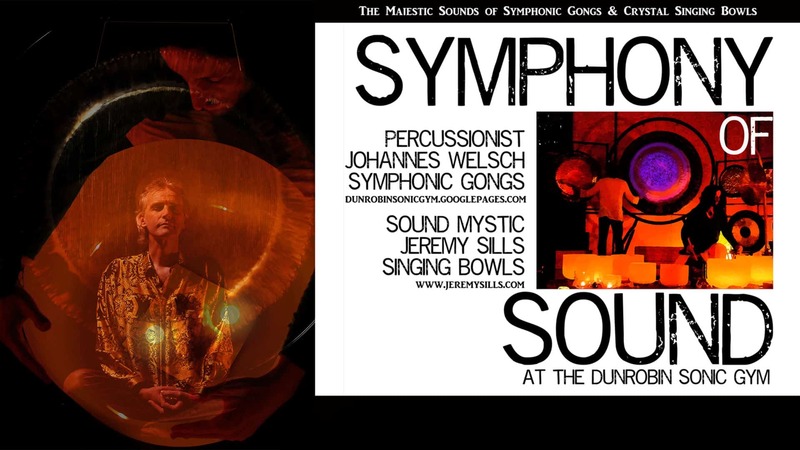 “Symphonies of Sound” is a documentary about the conception and development of the Dunrobin Sonic Gym, a private gym turned performance hall and recording studio in Dunrobin in the outskirts of Ottawa, as well as the story of its owner, recording engineer and percussionist, Johannes Welsch, and what led him to offer and put on one-of-a-kind gong performances along with musician and singing bowls player Jeremy Sills. In the film, Johannes Welsch talks about his philosophy of sound and why more emphasis should be placed on hearing rather than seeing, among other things. The film also features music and clips from their performances as well as a solo drum session recorded inside Johannes’ studio that sits inside his squash court.